Drawing on an international range of expertise, this book reviews key research addressing these issues. Part 1 looks at advances in understanding and improving the welfare of hens, from welfare standards to nutrition and other aspects of husbandry. Part 2 discusses sustainability issues, from ways of measuring the environmental impact of egg production to ways of improving sustainability such as improved waste management. 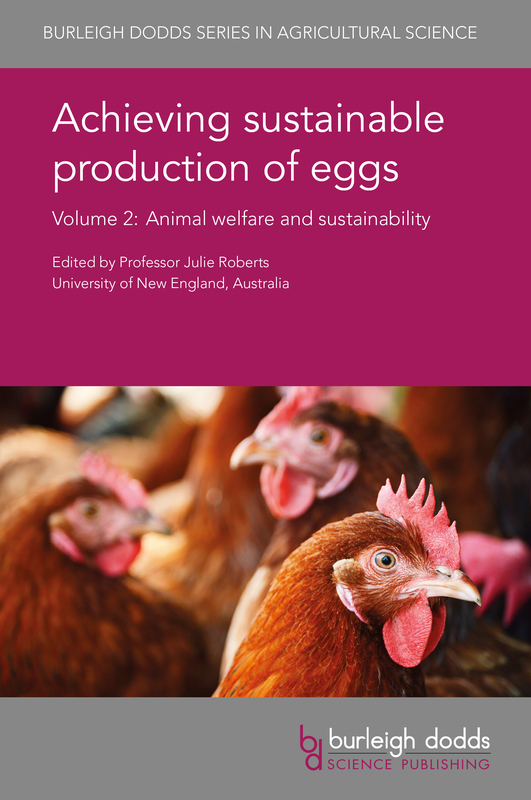 Achieving sustainable production of eggs Volume 2: Animal welfare and sustainability will be a standard reference for poultry and food scientists in universities, government and other research centres and companies involved in egg production. It is accompanied by Volume 1 which reviews safety and quality issues.